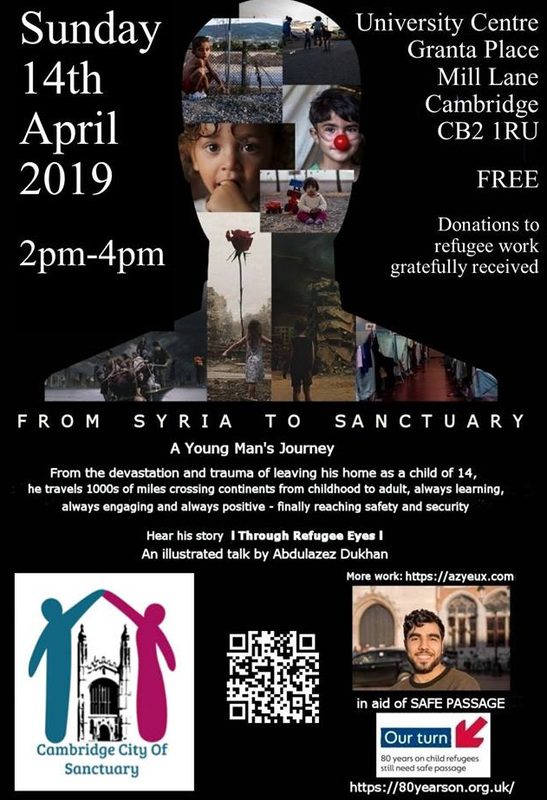 Cambridge City of Sanctuary invites you to join us on Sunday 14th April at the University Centre where we’ll be hearing Abdulazez Dukhan talk about his inspirational journey from Syria to sanctuary. Abdulazez left his home as a child of 14 and travelled thousands of miles across continents, eventually being granted asylum in Belgium. An accomplished photographer and graphic artist, Abdulazez is fluent in English and Dutch, and his video ‘Letter to Donald’ has been viewed over 13 million times. This is the penultimate of a series of 7 talks he will be giving on this UK tour. There is no charge for entry but we encourage you to make a donation towards refugee work. This event is organised by Cambridge City of Sanctuary in support of Safe Passage’s “Our Turn” campaign to encourage our national government and local councils to do more to bring vulnerable child refugees to the UK. 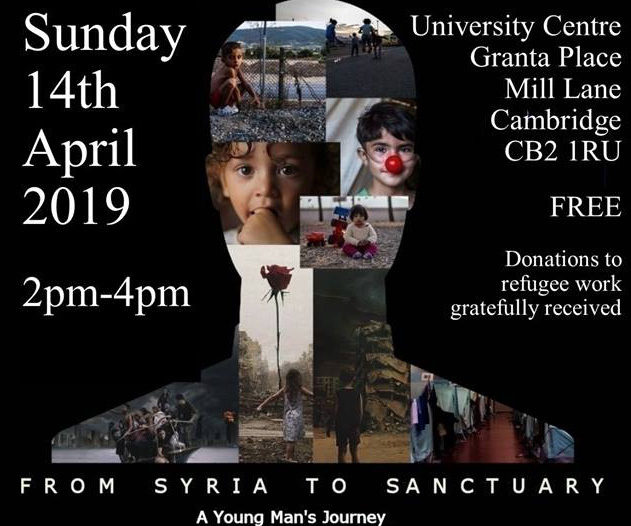 In addition to Abdulazez’s excellent talk and artwork, you will also have the chance to meet representatives of the local refugee support organisations in Cambridge.